Disneyland in Mid-October: Scary Crowds?!! There’s a mid-October storm brewing at Disneyland, and it’s not related to the weather! While October at Disneyland might be considered “low-crowd” season by some, I’m actually concerned about the potential crowds next week, with something of a “perfect storm” set to peak on Friday, October 15th. Columbus Day is Monday, October 11th. Canadian Thanksgiving is also observed on Monday, October 11th. While perhaps not a huge factor, I’m expecting Canadians out of school to add to the crowds next week. Some school districts in Arizona are out on “Fall Break” next week. With the state’s close proximity to California, this has the potential to add to the crowds. The Utah Education Association (UEA) is holding it’s annual convention next week, with many (most?) of the state’s schools closed Thursday and Friday. I’m expect a large influx of visitors from Utah at the end of the week as a result. So, why the extra concern for Friday, October 15th? Friday falls in the middle of the UEA break, so I’d expect the Utah crowds to peak on Friday. Friday is an OPEN day (i.e., not a blackout day) for ALL varieties of annual passholders, including Deluxe, Southern California, and Southern California Select. With local visitors coming to the park to take in Disneyland’s fall atmosphere, including enhanced versions of the Haunted Mansion and Space Mountain, this has the potential for a HUGE impact on crowds, especially Friday evening as the locals get off work and head for the park. Perhaps most significantly, Disneyland is hosting it’s Halloween party Friday evening, with the park scheduled to close at 7:oopm. If you DO visit Disneyland next weekend, please leave us a comment below on how the crowds turned out, and how it affected you. What advice would you give to someone visiting at the same time next year? 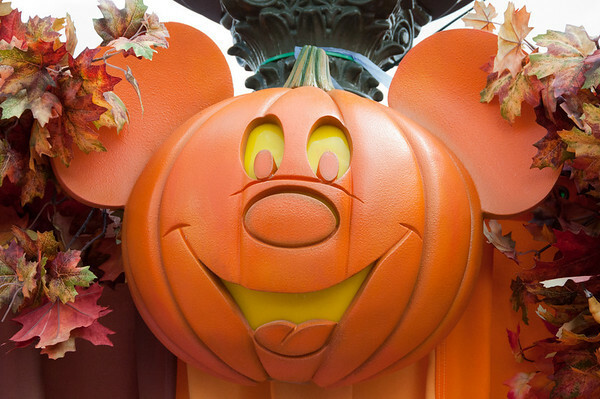 Author Mark WintersPosted on October 6, 2010 April 1, 2012 Categories Crowds, Disneyland26 Comments on Disneyland in Mid-October: Scary Crowds?! !